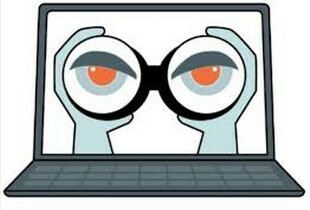 Learn more about your date online, 6 Social Media Spying Tips! Online dating safety tips from Online Dating Background Checks is pleased to share this little little social media tool guide to spying online on people. That is right, the fact is even Pew Research center has documented how common it is for people to check out a possible online date so why not discuss what really happens! How to find information online about someone using social media profiles. Here are 6 super awesome tools to consider using to search our your possible online date to see how he behaves in the cyber world and even offline. What kind of person is he or she? Using these social media tools sometime you can get at least a little more information about someone. 1. Facebook – The best place to spy on a possible date is Facebook. 2. Twitter – Measure your potential online dates nerd level or see just how social they are online; if at all. Typical extroverts love Twitter while introverts rarely if ever have a tweet account. Are they on Twitter? 3. YouTube – What is better than video? YouTube could be a goldmine to find a few college videos of your possible date or ones that feature them posted by others. YouTube is the worlds largest video sharing site and millions of names return results featuring that person. You may also want to try their company name or their name next to what they do for a living. 4. Reddit – See what sort of news they read and vote up. This is a wonderful place to see if your date is into social media sharing when it comes to news stories as well, another way to see how engaged in things online they are. …And which they their views lean to! 5. StumbleUpon – See what they think is shareworthy and socially acceptable. You might be shocked! 6. Google Images – Old photos including mugshots often still are in Google image search. Add the word ‘mugshot’ to there full name and sometimes you can hot the holy grail of online spying finds! Oh and we can’t forget to plug our super cheap, fast, full background checks that we can provide on your online dating use our simple service here at DateCheckout. For less than 10 bucks you get it all on a silver platter right in your inbox in less than 10 minutes. Lowest Prices for Online Dating Background Checks. Immediate reports on criminal history, marriage records, bankruptcy history, and more. Google Executive & A Deadly Date From SeekingArrangement The Case for Background Checks? Online Dating Background Checks Service - DateCheckout.com All Rights Reserved 2014 Before you Go out, Check out!